The shemita year is approaching and I was wondering whether that affects those who live outside of the Land of Israel in any way? The shemita year, which is the 7th year of the agricultural cycle, or Sabbatical year, in which Jewishly owned fields and orchards in the Land of Israel may not be worked, but rather must be left untended and fallow and whose produce must be accessible and free to all, is indeed approaching. From this coming Rosh Hashana until the next, any fruits and vegetables that grow in the Land of Israel under these circumstances have a special degree of holiness, which requires that they be handled, consumed and disposed of in many special ways. In fact, since many fruits grow during the shemita year but are only fully ripe for consumption afterward, their holiness continues to be an issue even into the 8th year (i.e., 1st year of the next cycle). This all has an affect even on those living outside of Israel. For one, it is forbidden to export shemita produce outside of Israel. And if this produce is cultivated in Israel in a forbidden manner, which is unfortunately often the case, even more restrictions and prohibitions apply. So effectively, any Israeli produce sold even outside of Israel during the shemita year (and for certain fruits, even afterward), are on the one hand prohibited, and on the other hand, must be treated as holy. Both the United States and Western European (and other) countries commonly market Israeli produce, where items such as citrus fruits and juices, wine or grape juice, canned olives or other canned goods, dried dates or other dried fruits and even flowers are prominent and therefore particularly problematic during shemita. An etrog from Israel which has been properly grown and handled, even though it has the holiness of shemita, may be exported and used for the mitzvah of the four species on the holiday of Succot, as long as it is treated according to the laws of shemita, which would even permit eating it after the holiday. Another issue of the shemita year which is in effect even outside of the Land of Israel involves loans, where any private loan that is due during the shemita year is nullified such that the borrower is exempt from paying back the loan. Nowadays, a procedure or document referred as “prozbul”, transfers the loan to a religious court or beit din, which enables the court to collect on one’s behalf. Accordingly, someone outside of Israel who has such a loan can either fulfill the mitzvah of allowing the shemita year to nullify the loan, or must otherwise prepare a prozbul in order to be able to collect it. 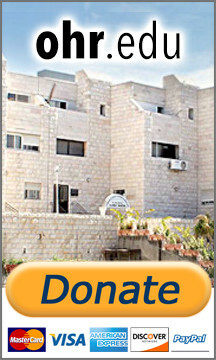 Speaking of fulfilling the mitzvah of shemita from even outside of Israel, an interesting initiative has been taken to enable people to fulfill the command of leaving the land fallow, while simultaneously helping support Torah-observant, shemita farmers weather the financially difficult period of shemita. Such projects involve selling plots of these farmers’ land in Israel to private individuals world-wide for the year of shemita. The buyers/owners then purposely leave “their” orchard-filled plots of land in Israel fallow and untended, whose fruits remain accessible and open to all, thereby fulfilling the mitzvah of shemita all year long. They also receive the mitzvah of supporting these G-d-fearing, shemita-observing farmers who are committed to observing the Torah’s agricultural laws in the Land of Israel.